A toothache means you have tooth decay, right? Not necessarily — your pain could be signaling a number of potential causes. Determining where, how much and how often it hurts will help us find out the cause and apply the appropriate treatment. A single symptom, for example, can mean many things. A twinge of tooth pain as you consume hot or cold foods might indicate localized tooth decay easily repaired by a filling. But it could also mean the tooth's root surface has been exposed as a result of periodontal (gum) disease — aggressive plaque removal and maybe even gum surgery might be necessary. Or it could be a sign of inner pulp decay: in this case you'll likely need a root canal treatment to save the tooth. Pulp decay can also announce itself with a very sharp and constant pain radiating from one or more teeth. You shouldn't hesitate to see us for an examination — even if the pain goes away. Pain cessation most likely means the nerves in the pulp have died. The infection, however, still exists, so you'll still probably need a root canal treatment. 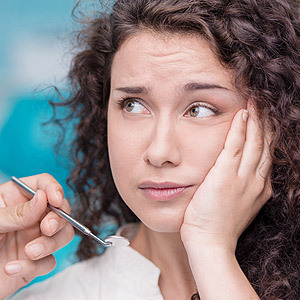 If you notice severe, continuous pain and pressure around a tooth, particularly about the gums, you may have a localized, inflamed area of infection called an abscess. An abscess can be the result of gum disease, but it might also stem from a foreign body like a popcorn husk, getting stuck below the gums. 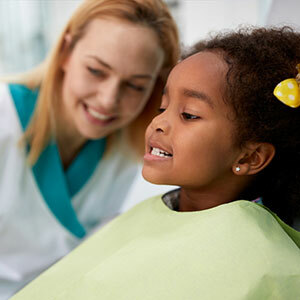 We'll need to conduct a complete dental examination to determine the cause and how to treat it. Finally, a sharp pain when you bite down could mean many things such as a loose filling or a fractured (cracked) tooth. The latter especially requires immediate attention to save the tooth. These are just a few of the possible causes behind mouth or facial pain. Although all of them are serious, a few are true dental emergencies and can't wait if we're going to save a tooth. The sooner you see us, the sooner we can help relieve the pain, minimize any damage and avert disaster.